Your time & effort and data are very valuable, irreplaceable even. At Central Computer Technologies (CCT), we care about you, your computers, laptops and network. We currently are offering a promotion from VIPRE Antivirus. 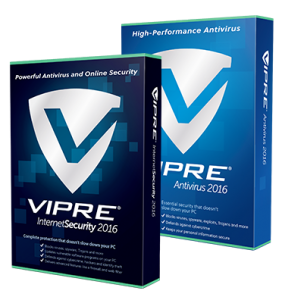 Click on the appropriate link below to start as saving on an annual subscription to VIPRE Internet Security Pro. We extended the current promotion from February 28th until further notice. Buy one year of VIPRE’s top-rated online security and get a FREE second year of protection. What ever your technology needs are, we partner together with you for your success. We only sell the best. Our clients re-subscribe to this as they know it is, and trust it. You should too.